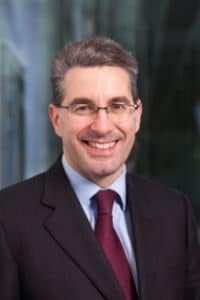 There is no reason why solicitors setting up a new law firm should not do so as an alternative business structure (ABS), the chief executive of the Solicitors Regulation Authority (SRA) has said. Paul Philip said he believed that in the future solicitors would be business people first and lawyers second. Speaking to over 700 delegates at the regulator’s COLP and COFA conference in Birmingham yesterday, Mr Philip said: “If you’re starting a legal business today, why would you not adopt an alternative business structure? “It creates a more flexible structure, with better opportunities for inward investment, particularly for important things like IT. Referring to a speech by the Lord Chief Justice last week in which he predicted a future of fewer judges and fewer lawyers, Mr Philip said: “I don’t think we’re moving to a world where there won’t be any lawyers, but where they are business people first and lawyers second. Mr Philip said some solicitors saw changes in the separate business rule as a threat, while he saw it as “a huge, huge opportunity for solicitors”, for example to sell into both the accountancy and legal markets. He also said the SRA would be changing the way it communicated with the profession. “There will be a tone of voice review. I think we need to adopt a far more conciliatory style in how we speak to the profession and a much more adult style. On indemnity insurance, he said that “either towards the end of this year or early next” the SRA would come forward with a consultation on some changes to the system, probably combined with proposals for the Compensation Fund. Mr Philip described the SRA as “probably busier today that at any time in its life to date”. He said the SRA’s focus had been on listening. He said the changes to the ABS authorisation process, simplifying the rules for compliance officers and the SRA’s latest approach to consumer credit regulation all came through listening to people.